Updated 02-19-19. 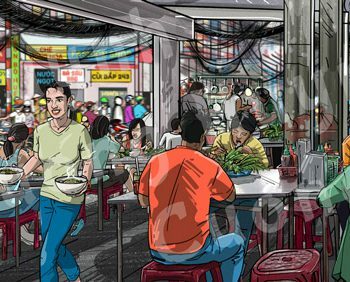 In other posts on lovingpho.com, I've discussed how much it may cost to open your own pho restaurant. 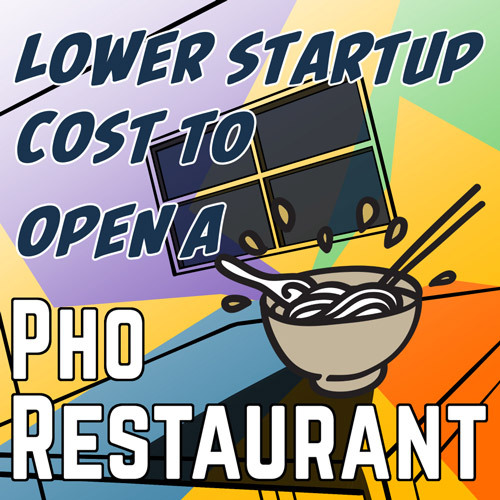 In this post, I'll provide some quick top level tips on how to keep the cost to open your own pho restaurant as low as possible, and why anyone can and should do it. Yeah seriously. But not everyone is aware that this is the first thing he/she should be aware of. "WTH? You mean, I should know what I don't know?" Yes that's right, by definition, first time doers lack knowledge and experience. In fact, even experienced restaurant operators continue to learn all the time. Nonstop. 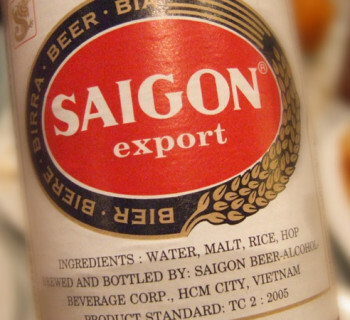 So for first time pho restaurant owners, awareness of your own limitations is critical. You want to know as early as possible what need to be done, when and how, so you can plan for it, budget for it, then do it at the right time and do it right the first time. Knowledge = Planning = Reduced Mistakes = Efficiency = Time = Money. In other words, things cost more when you don't know that you needed to do it, when you didn't plan or budget for it, when you don't do it at the right time, and when you don't do it right the first time. This can't be said often enough, but many pho restaurant owners-to-be do not create a business plan. Aside from the fact that the business plan represents your planning and budgeting, it is actually the time you learn what you don't know and start asking the right questions. 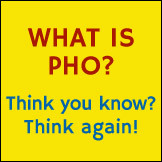 For tips on pho restaurant business plan, you can read the series starting with Pho Restaurant Business Plan, Part 1. Even though you open your doors to everyone, not everyone will come and eat at your pho restaurant. In an area of 1 mile, 3 miles or even 5 miles radius surrounding your business, who will decide to come and at what time? Turning it around the other way, the question becomes: what type of customers do you really want to attract and frequent your restaurant? This may seem too abstract to quantify and design for, but it can be done and is done frequently by those who know they need to identify their market and design their service to attract those exact people. Why would someone open a restaurant without knowing what customers they intend to serve? Quick question: Once you open, what is one of the costs of your pho restaurant operation that you can't control? Well it's not a trick question. It's the lease of course. The problem is, not many realize this until after they open. Until the damage has been done. In reality they've already made the choice long before the first customer walks in the door. In fact, for many who contacted me for consulting service, the lease has been signed before they even know what they'll have on their menu, who the customers will be, what concept they will serve, and what revenue and profit they will make. To put it simply, restaurants have controllable costs and uncontrollable costs. I will discuss controllable and uncontrollable costs in a future post, but suffice it to say, the lease that you pay monthly to your landlord, once signed, will not change for many years; it will not change for the duration of your restaurant's life at this location, whatever the terms of your lease is. This can be a good or bad thing depending on many things. The bottom line is, why sign the lease before anything else? Why not negotiate and sign the "best" lease you can after you have a business plan and have a clear idea of what you want to achieve? This may sound like another obvious statement. 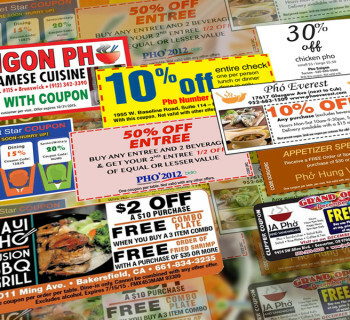 The fact is, total cost to open a pho restaurant comes from many components. Design and buildout costs are only two of the components. But they just happen to be 2 of the biggest cost components. Since both design and buildout must consider the multitude of things that will make the pho restaurant operational and successful, watching your design and buildout costs is an absolute must. Last but not necessarily least, the owner/entrepreneur needs to possess excellent preparation skills, strict discipline with total flexibility to deal with challenges and hurdles normally encountered when building a restaurant. It's all about the knowledge and attitude of the owner. The success of the new pho restaurant depends on its owner first and foremost, and the owner's leadership must be clear from day one. Obviously opening a new restaurant requires a lot more than paying attention to just these 5 things. But if you do these five right, then you'd have done the 20% that will benefit 80% of your new business. And you'd have prepared and positioned yourself much better for success. Leave a comment or question below if you have feedback about this post or any other posts.